As a special birthday treat my boyfriend bought me a trip to Kew Gardens followed by Afternoon tea at The Botanical. I used to visit Kew Gardens as a child whether it being for a school trip or something to do in the summer holidays it's somewhere I've grown up knowing. Despite it being one of the most special places in London not too many people have been, so I wanted to share some photos from my day. They've recently opened their renovated Temperate House, it's the largest Victorian glasshouse in the world. The Grade I listed building is twice the size of everyone's favourite, the Palm House. On the day we arrived they had interactive Theatre with a giant puppet as part of their summer activities for children. Such a great way to spend the day if you have a family! 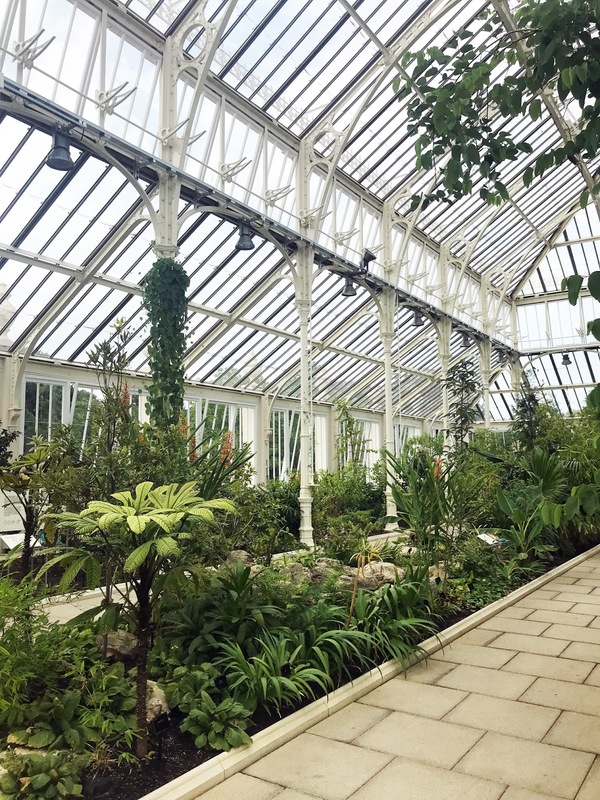 The following photos are from the Palm House, we were in a little rush to beat the rain so sadly I only have one photo of the Temperate House, but they often post photos of it on their instagram. Now onto the tea, when we sat down we were given three options classic, vegetarian and seasonal: Alice in Wonderland. I opted for the vegetarian as I wanted to try the most authentic afternoon tea they offered. I picked the apple and elderflower herbal tea to pair with it. I sadly din't take too many pictures of the tea as we were starving and I honestly didn't think i'd be putting together this post. We visited on the hottest day of the year, so sitting down to have tea seemed a little wild but luckily The Botanical was air conditioned which we were VERY grateful for. The sandwiches were possibly one of my favourite parts of the tea, I loved the roasted vegetable and the cheese & chutney. I was so pleased to see the bakewell tart as part of the tea as it's one of my very favourite treats. 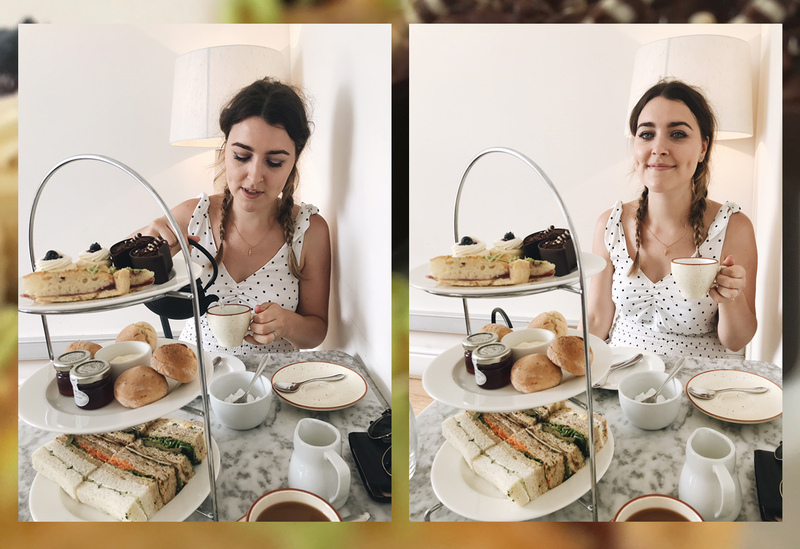 I wish the scones had been bigger and we were given the option to have ones with raisins or cherries in as controversially I love raisins in cakes! The vegetarian afternoon tea retails for £27.50 and entry to the gardens is an additional cost. I didn't know they did afternoon tea - I'll definitely be checking it out! I have never been to Kew Gardens and I keep seeing so many beautiful photos of it that I need to go soon. Everything is so pretty and green! Well done for going on the hottest day of the year though, it must have been a bit of a challenge haha. The afternoon tea sounds good enough - I would love to try the Alice in Wonderland version!